The event will take place at the truly special Zoological Society of London (ZSL), where the animals will welcome us in their kingdom. The meeting rooms combine classic style with contemporary comforts for research events. 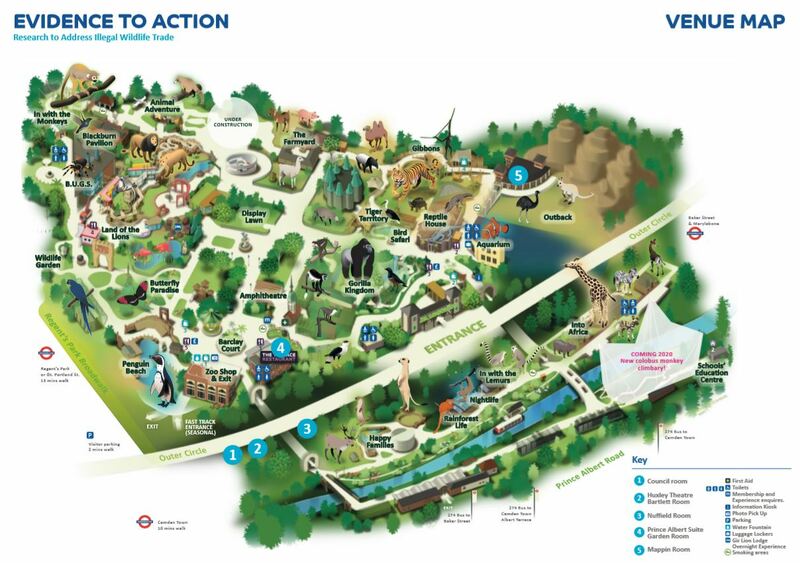 ZSL London Zoo is within walking distance of Camden Town and Regent’s Park metro stations and short bus ride from Baker Street metro station. The nearest railway stations are Euston Station, Marylebone Station and St. Pancras International Station. Heathrow Airport is also a short 40 minutes ride away. If you are breastfeeding a baby up to the age of 12 months, you are welcome to attend with your baby. Baby changing facilities and a dedicated breastfeeding zone will be available onsite. Unfortunately no creche facilities are available. For any questions, please email symposium@illegalwildlifetrade.net.